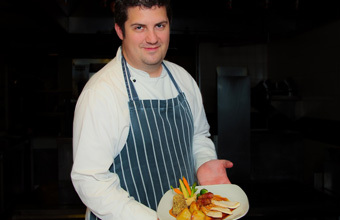 THE Menzies Welcombe Hotel Spa and Golf Club has appointed Matt Warburton as executive head chef. Matt has over 19 years' experience and knowledge of the catering industry and before joining The Welcombe Hotel, was lead chef consultant for Rouge Recruitment based in Loughborough. Matt said: "There are very few venues that can eclipse The Welcombe Hotel in terms of size, stature and facilities. "The staff are part of a loyal, dedicated and hard-working team, many of which have worked here for decades including Terry, the store-man who has worked here for 40 years and Michael, the concierge who celebrates his 37th year of service. I am immensely proud to join The Welcombe and be part of this exceptional team."